Today I had my absence review meeting and on Monday 7 December I will be back in school. It’s only part one of a phased return but it’s good to now have a plan for six school weeks from that date. I must make the most of the incremental nature of the phased return and have an honest review at the end of it what the next steps will be. Hopefully I can then be posting more positive blog posts once more. Thanks for all the supportive contact from my friends online. Black Dog / depression is known by many names to many people. It affects us in different ways and we have different ways that we manage our own condition. Sometimes this works and at other times life overbalances and we are ill. Since September 29 when I suffered a “breakdown” I have been working at redressing that balance so I can function again amongst others. I am almost there, it will take a bit of time to phase my back into the lifestyle and daily demands but, and most importantly, I want to be back in my classroom, teaching classes, developing the department and continuing the work I started last year. Have I learnt anything? Yes again I have had to step back, rebuild my self confidence and resilience and look at ways that the role demands more from me than I can give and maintain a sustainable lifestyle. I will be developing, alongside my counselling, new routines, checkpoints and activities that mean that my life will not always be teaching led. I have discovered and embraced a new hobby that does not link to work and involves socialising with a range of other people, most of whom do not teach or work in education. I will use my breaks in the working day to switch out and not be available all of the time. I will set time limits for the week and stick to them. I will not be weight lifting at the end of long tiring days and the plastic box in the boot of the car will cease. Will I complete everything, all of the time? No. Will I aim to be in work consistently motivating, sharing learning and developing the young people I work with – pupils and staff? Yes. There is a stark choice here – play to an ever increasing demand while workload and work-life balance are bandied around as terms but not adhered to OR manage my workload and work-life balance so that I stay healthy and continue in the job that I love and want to continue doing. As the image shows from my first sketchcrawl at Borough Market on November 7th, sometimes we need to let the bustle of life pass us by and focus on one thing at a time. Take time out occasionally as I did here to answer the lady’s questions about sketching in such a busy environment. On this day I knew that I was getting back to being ready to work in the school environment. Last night I was invited to a get together for two ex colleagues who are heading home to New Zealand and Australia at the start of next month. According to a search engine of note the Maori to English translation is see you later. A difficult week as the previous weekend I had tried too much. Saturday had seen a meeting attended for the voluntary group that I serve on at St Pancras, this had been preceded by some sketching at the station where there was a stronger police presence than usual after the tragic events in Paris the evening before. After the meeting I had “tubed” to the post sketchcrawl refreshments with USK London (Urban Sketchers) at Timberyard in Soho. Great conversations and more sketching. A little bit of shop mooching including trying out the Apple pencil and IPad Pro at the Regents Street store – a chance to use Paper app on a larger screen. Sunday, a visit to Cambridge which included a new coffee venue – Hot Numbers on Trumpington Street/Road. Then a meet with USK Cambridge at the Fitzwilliam Museum, a place I had meant to visit but had not got around to yet.Afterwards this provided an opportunity to catch up with Alice, an ex pupil now studying Geography at St Catherine’s College. Then a drop in chat and tea with my sister before heading for the M11 and home – I was lucky that Anne drove home because I was too tired and there had been an accident on the M11 which led to long tailbacks. Result, a chest cold which meant that I stayed indoors Monday to Thursday and was starting to go stir crazy. One positive side effect was to spark the idea of producing a leaving gift for Ruby and Adam – a hand drawn card for each with the map showing their UK to Auckland / Brisbane journey. Then I had asked each about their favourite UK place and produced individual artworks (I will post about this new development in my sketching on Mishmashlearninggoessketching soon). Apologies for digressing. I arrived early after driving to Leytonstone ably guided by Google maps. The group gathered and then we moved onto the Red Lion E11. A large example of a traditional pub with what has to be one of the more interesting beer garden areas I have visited in a long time. Chatting and, yes you guessed it, sketching- to the intrigue of some of the group including colleagues I have not seen now for several weeks. It was a great evening meeting teachers and non teachers from mainly Ireland, New Zealand and Australia. Conversations ran from the enduring reliability of Toyota cars, the feeling about driving stick or automatic especially if driving in the USA to what links people in the group had, to people sharing their experiences of depression with me and the compliment that two colleagues had read several posts from this blog – thanks to Gordon and Jess. As the evening went on it became too cold for the seating outside, so back into the main body of the pub we went – a popular and crowded venue, security staff present but an atmosphere that always felt safe. At one point I secured a seat and proceeded to sketch part of the interior of the room and some friends. The dj had an area where you could move slightly more freely, some even attempted to dance. I of course tried a new idea, oops, now usual idea and sketched as I shuffled. This drew interest from people around me in a generally complimentary way and then I was asked by a young lady if she could borrow my pad and pen, I passed the pad to her and she proceeded to sketch a portrait of me. That was a new experience, Laura signed it and I have promised to keep it in my sketchbook. I drove Gordon and dropped him off on route back home which meant we got to chat. Overall, it was a great evening, it made the staying in to shift the cold worthwhile and I wish Ruby and Adam all the best for their journeys home and look forward to seeing you both again. Sketch evidence will be shared through the sketch blog linked to above. My next see you later will be this week where I go into school for my Review meeting about my absence to date and planning my return. I am looking forward to it. No animals were hurt in this event or knees damaged from crawling around. It is about sketching live. 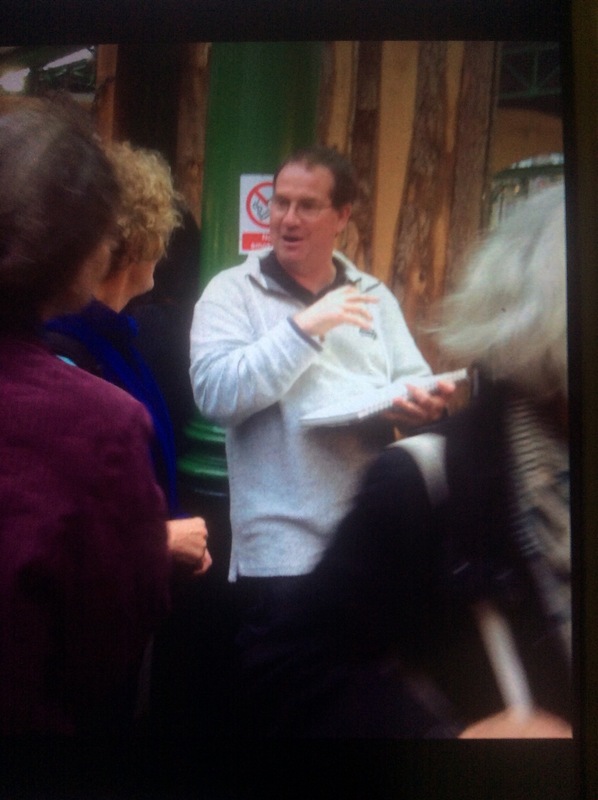 Yesterday I took part in one with the London Urbansketchers at Borough Market just south of the River Thames. The event ran from 11.30 to 16.30 and in that time market goers found a variety of people, over 20 of use drawing and / or painting around the market place. Some were sat on foldable stools, others sat at cafes sipping at rapidly cooling drinks between pen/pencil/brush strokes, others stood to the side of busy routes through the market. There may have been other teach inquest, these are what I saw or did. Now, this week rather than go on about my sketches in detail on here I have started my own Sketching blog. The link will take you to Saturday 7th’s post on the sketchcrawl. If you fancy joining one let me know, look up urban sketchers online or make up your own with family, friends, colleagues or even strangers.